Henry John Guildford was b: 21 Nov 1846 at Easton Royal, Wiltshire to parents John and Ann Guilford. His Christening Date: 27 Dec 1846 Place: Easton, Wiltshire. Th family immigrated to Lyttelton, New Zealand, arriving on the 7th Feb 1851. Education: In those first years of the Canterbury province, parental concern that their children receive schooling was left to the provincial Christchurch Council who established a denomination school system. They operated with some provincial funding to supplement the weekly fees of parents. Henry John Guildford, the youngest of John Guilford's 3 sons, gained an education at the High Street Wesleyan church School pictured below. (artist unknown). "I left my father's home the end of August 1862. I was a fool of the first water by not doing as my father wished, but being the only child living at home, during my school time, also a sickly one, I had been somewhat pampered and spoilt. Anyhow, I had my wish and left a good home and as I knew nothing of work, it can be understood that in my attempt to earn a living, I got many knocks, and encountered some very hard times. My first attempt was going to sea in that good Brig "Mountain Maid". Capt. Vandewood, then trading between Sydney and New Zealand ports but mostly to Lyttelton. On her I saw enough to put all thoughts of the sea out of my head and eventually left her in Auckland where I was employed in various ways. Then I went down to my brother William who was then in Pleasant Valley, and started bushwork, at which I was no "Ringer" but kept at this occupation in various parts of New Zealand, often varied by working with carpenters up to and after the time of my marriage in 1875." 1867; Both brothers, Henry and James Guilford, assisted in the building of brother William's home at Pleasant Valley and took an intereest in community sporting activities. Press: 12 April 1872: MAGISTRATES' COURTS. CHCH: Civil Cases.—Trustees of Aylmer and Berry's Estate v H Guildford, claim of £8 19s 3d no appearance of either party nonsuited, with costs. GUILDFORD - COWAN: At the home of Mr Jno. Reay, Owake Flat, on the 8th October, 1875 by the Rev. W. Bannerman, H. J. GUILDFORD youngest son of Mr J. GUILDFORD Papanui Road, Christchurch, Canterbury, to Jane, second daughter of Mr R. Cowan, Sandymount, Peninsula, Otago. Clutha Leader: 9 March 1876: The following notes are from Catlin's River: M'Pherson and M'Kenzie of the Owaka Saw Mills, Catlin's River, are engaged in putting down a half moon tramway, about half a mile above the mills. The half circle will, embrace sixty chains from end to end, and supply the mill with from 20 to 30 logs a day. The tramway is being laid by H. J. Guilford, contractor. Otago Witness; 7 Jul 1877; At the Portobello Road Board meeting held on at the Board Room, Harbour Cone, under the Chairmanship of W A Wilson, the committee passed a resolution specifying the duties of Clerk to include also Collector of Taxes, and it was decided to call for tenders from parties willing to undertake the work of the two former offices to be combined. Mr W. Geary was appointed Treasurer, and Henry J Guildford was appointed 4 Aug 1877 to the position of Clerk to succeed George J Clark and receive £10 per annum for doing the accountants' duties therewith. His first duty was to remove the Board's papers and effects to the changed meeting venue at the Cemetery Reserve Office at Portobello and prepare an abstract of Board accounts of the previous year for publication. Otago Witness: 25 Aug 1877: OTAGO PENINSULA; ACCOUNT OF THE PORTOBELLO ROAD BOARD DISTRICT For the year ending the 30th June. W. A. WILSON Chairman. H. J. GUILDFORD, Clerk. Otago Witness: 6 Apr 1878: PORTOBELLO ROAD BOARD. APPLICATION having been made to the Portobello Road Board to CLOSE the Road Line between Section 4, Block VL, Sections 29, 27, 25, 23, 21, 19, and 17, Block V, Portobello Bay District, and sections 23, 24, 25, 26, 27, and 2 of 27, Block 11, Otago Peninsula: Notice is Hereby Given that a plan of the road line and sections can be seen at Mr W R Latham's Store, Portobello for 12 weeks from the date hereof. H. J. GUILDFORD, Clerk to the Board. Otago Witness, 17 Aug 1878: In answer to an advertisement inviting the Peninsula settlers to meet at the Sandymoant Schoolbouse on the 10th instant, to consider the adviseability of forming an Agricultural and Pastoral Society for the County, a considerable number attended, there being settlers from every subdivision of the Peniniula present. Mr H. J. Guildford stated at this meeting held on tht 22nd June last, l7 only being present, it was resolved " That all then present should try and Induce as many of their friends as possible to attend the movement, and that a Sub-Committee had been also appointed to procure copies of the rules of kindred societies, and any other information bearing upon ths subject they were able to research." Having received copies of rules from several different societies, a meeting of the Sub Committee had been held, and they had unanimously decided to form a Society, the rules (with slight alterations) of the Waikouaiti and Shag Valley Society. He then read the rules recommended. On the motion it was unanimously resolved: " That an Agricultural and Pastoral Society for the Peninsula County be at once formed, and that the designation there-of be 'The Otago Peninsula Agricultural and Pastoral Society,' that the rules recommended by the Sub-Committee be adopted, that the annual subscription of members of the Society be one guinea per annum.and that the rules recommended by the subcommittee be adopted"
Otago Daily Times: Aug 1878: H J Guildford along with others signed this testimonial: To Mr Thomas Tiley, teacher of the Portobello District School from the year 1864 up to I878. At a meeting of the settlers in this district held August the 24th, 1878, for the purpose of certifying to the excellent character of Mr Tiley as a Christian, a gentleman, a neighbour, and as a teacher, We, the undersigned, repudiate the action of the present School Committee in stating that the children attending school have not made satisfactory progress. The action the School Committee has seen fit to take, we understand, has led to your resigning your position as head master of the Portobello School, taking into consideration that the majority of the children have to travel from two to four miles to reach the school; the labour some of them have to undergo on account of the high tides, and the bad state of the roads the consequent irregular attendance: also the want of sympathy on the part of some of the committee. We feel that the committee's action towards you is manifestly unjust, and we hereby certify that for the last fourteen years you have borne an excellent Christian character; as a neighbour, we have always found you honest, kind, and most obliging—in short, a gentleman in the full sense of the word, as a scholar, we believe you to be possessed of the necessary qualifications for the position you have so long and honourably held in our midst; and while we deeply regret your removal from this place, and the consequent loss of your services, we sincerely wish that all prosperity may be your portion wherever your future lot may be cast. (Signed...) The meeting expressed it's lack of confidence in the current school committee. Otago Daily Times; 24 Sept 1878: PORTOBELLO ROAD DISTRICT. A PUBLIC Meeting of Ratepayers of the above district will take place at th Board's.Office, at 12 o'clock noon on Saturday, the 25th inst, to decide whether a road line between section 4 block VI, sections 29, 27, 25, 23, 21,19, and 17, block V, Portobello Bay survey, and section; 23, 24, 25, 2& 27, and 2 of 27, block H, Otago Peninsula, be stopped or not. H. J. GUILDFORD, Clerk to the Board. Otago Witness: 1 Feb 1879: SCHOOL COMMITTEE ELECTIONS. PORTOBELLO. About fifty householders attended the annual meeting, which was held at the Portobello School on Monday night last. Jas. Seaton, Esq. occupied the chair. There were eleven candidates proposed for the position of committee men for the ensuing year. Result of the poll: Joseph Young 37; John Geary 26; George M'Cariney 34; Henry Duckmanton 19; John Kerr 34; Alexander Clark 17; Thos Porterfiold 16; H. J. Guildford 30; William Christie 15; Joseph Cross 28; The first seven form the new Committee. Mr John Kerr having protosted against Mr Guildford's election, on account of his residence not being in the school district, requested the Chairman to forward his protest along with the result of the poll to the Education Office. A vote of thanks to the chair terminated the proceedings. Otago Witness, 15 Feb 1879: PORTOBELLO ROAD BOARD. NOTICE IS HEREBY GIVEN, that the Valuation Lists for the respective Subdivisions of the above Board, for the Year 1879 80, are now open for inspection until 15th Feb next. For the Portobello Subdivision — At Mr W. R. Latham's store, Portobello. For the Broadway Subdivision — At Mr Geo. Green's house, Broad Bay. For the Sandymount Subdivision — At Mr W. Riddell's house, end of Sandymount road. All objections thereto must be left at the Portobello Road Board Office, Portobello, on or before the 15th day of February, 1879, addressed to the Assessment Court ; and a copy of every such objection addressed to the undersigned must be left at the Board's Office, Portobello, not less than seven days before the next sitting of the said Court. H. J. GUILDFORD, , Clerk to the Boards; January 15th, 1879. Otago Witness: 1 Mar 1879: PORTOBELLO ROAD BOARD: Granted - From H. J. Guildford, clerk to the Board, asking for an increase to his salary. It was resolved that the salary should be raised £10 per annum, or altogether £38 15s year. Otago Witness, 24 May 1879: NEW ZEALAND GAZETTE. Wgtn, May 15th. A number of proclamations are gazetted making reserves and changing the purposes of others in different parts of the Colony. 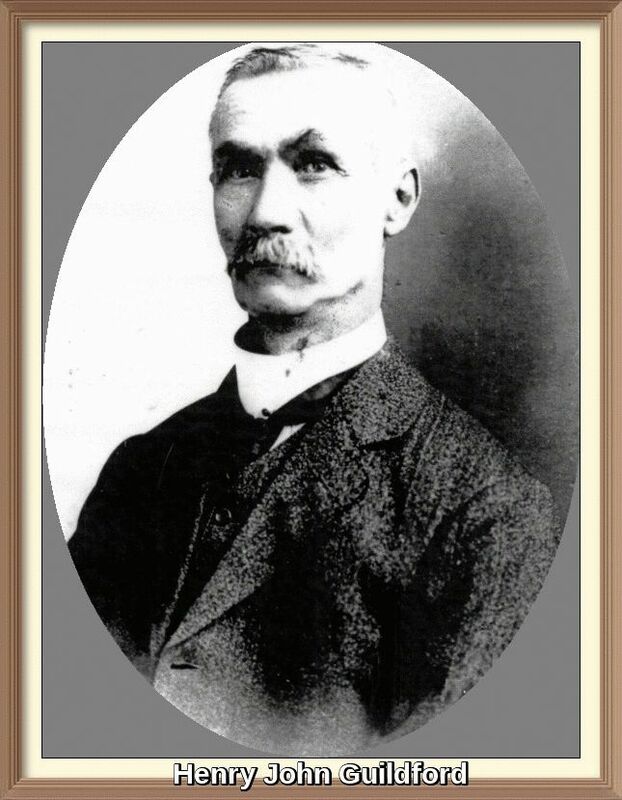 Appointed Registrar of Companies and Maori Titles for the Portobello Road District, Henry J. Guilford. Otago Witness: 16 Aug 1879: PORTOBELLO ROAD DISTRICT. NOTICE: The ACCOUNTS of the above for the year ending 30th JUNE 1879, are OPEN to the INSPECTION of RATEPAYERS and others interested from this date up to the hour of Noon of AUGUST 20th, the time of the Board's Annual Meeting. Also, That the Rate for the Current Year is now due and payable to the Collector. H. J. GUILDFORD, Clerk and Collector. August 7th, 1879. Otago Witness: 7 Aug 1880: THE NEW ZEALAND GAZETTE: The following assessors under the Property Assessment Act, 1879, have been appointed: Henry John Guilford, of Portobello, the outlying district of the County of Peninsula, consisting of the Native reserves comprised in said county. Otago Witness: 28 Feb 1880: A case was brought at Wednesday's Police Court against a settler on the Peninsula for allowing his cattle to wander on a district road. Mr Stout appeared for the defence, and succeeded in getting a dismissal on the ground that the Town and Country Police Ordinance, under which the case was brought, required it to be proved that the alleged offender was wilfully guilty. The informant, Mr Guildford, clerk of the local Board, said he would bring a fresh action. Afterwards some cases brought from Ravensbourne were dismissed upon the same ground. The only way.in which conviction can apparently be obtained under the Ordinance is when a person is seen to turn out his stock upon the road. Evening Post: 23 Aug 1880: H. J. Guildford, clerk to the Portobello Road Board, was arrested to-day on a charge of embezzling the funds of the Board. Otago Witness: 28 Aug 1880: Henry J. Guildford was charged on remand at the City Police Court on Wednesday with having embezzled £200, the property of the Portobello Road Board. Mr D. Stewart appeared for the prosecution, and Mr Hislop for the defendant. On the application of Mr Stewart, the accused was remanded for a week, bail being allowed in a surety of his own recognisance for £400, and two others of £200 each. Otago Witness: 4 Sep 1880: Charge of Embezzlement. The charge against Henry J. Guildford, of embezzling £200 from the Portobello Road Board, was commenced at the City Police Court on Wednesday. Mr Dennison appeared for the prosecution, and Mr Stout for the defendant. William Alexander Wilson stated that for several years he was chairman of the Portobello Road Board, and that he had resigned office last Saturday. He produced the minute book of the Board, showing that the prisoner was appointed clerk and collector on the 4th of August, 1877, and that Mr Geary was appointed treasurer on the 15th of August, 1877. On the 18th of August last witness found the document produced in an envelope at the Board's office. It read as follows: "Mr Wilson, I have stolen £220 2s 4 1/2d of the Board's money, and have given myself up to the police. Guildford." It was in the prisoner's handwriting. Witness produced the Road Board's rate-book and cash-book. The latter contained memoranda in the prisoner's handwriting. The receipts for rates from Mrs Fleming on the 14th May, and J. Simpson on the 8th of June, in the rate-book were in prisoner's handwriting. It was customary for the prisoner to pay all money received into the bank, Mary Fleming gave evidence as to paying £3 8s 9d rates to the prisoner on the 22nd of April, for which she got the receipt produced. Norman William M'lntosh, sub-accountant in the National Bank, stated that he received a communication from the prisoner on the 22nd of April, enclosing £l3 10s 3d, and £114 5s 11d, to be placed to the Board's account. The amounts were placed to the credit of the Board. James Simpson, sexton, a ratepayer of the Portobello Road district, produced a receipt from the prisoner for 10s 6d rates. William Geary, treasurer to the Board, stated that he had never received any money from the prisoner. The case was then adjourned till Friday. Otago Witness: Accidents and Offences; 18 Sep 1880: Two charges of embezzlement were preferred against H. J. Guilford at the City Police Court on Saturday. In one of the cases, in which it was alleged that the accused had embezzled the sum of £200, the property of the Portobello Road Board, no evidence was offered, and the information was dismissed. The other case, a charge of embezzling the sum of £3 8s 9d from the same body, was adjourned until the 16th. Otago Witness: 25 Sept 1880: Henry J. Guildford, late clerk of the Portobello Road Board, was brought before Mr Watt, S.M., at the Police Court on the 16th, on two remanded charges of embezzling the sums of £3 8s 9d and 10s 6d respectively, the property; of the Road Board. The prisoner pleaded guilty, and was sentenced to six calendar months imprisonment, with hard labour. 1880 - Otago Witness, 28 August 1880: Henry J. Guildford was charged on remand at the City Police Court on Wednesday with having embezzled £2OO, the property of the Portobello Road Board. Mr D. Stewart appeared for the prosecution, and Mr Hislop for the defendant. On the application of Mr Stewart, the accused was remanded for a week, bail being allowed in a surety of his own recognisance for £4OO, and two others of £2OO each. After his discharge from goal he was employed by the Caswell Sounds Marble Works. He went from there to Otautau where he was heard of in June 1882 then spoke of going to Port Chalmers. It is supposed he has gone to Sydney. Inquiry is made for him for his wife and 3 children towards whose support he has not contributed to for the past 3 years. Henry John Guilford has been found. He was recently arrested by Constable Henry Frettwell, Wyndham Police for wife desertion and remanded to Dunedin. Southland Times, 3 December 1883: WIFE DESEBTION. 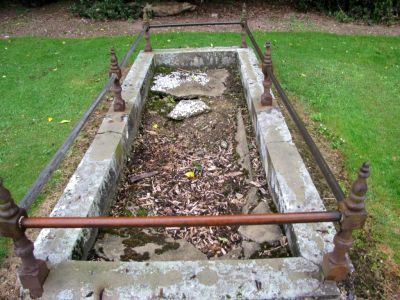 Henry John Guildford was charged on a warrant from Dunedin with having deserted his wife and three children. — The accused said he would be willing to pay a reasonable amount towards the support of hisfamily. — His Worship did not think he could deal with the case, as he did not know the circumstances and had no evidence — The police said the case was a bad one. — Remanded to Dunedin. 5 Dec 1883: Wife Desertion. Henry John Guilford was charged with deserting his wife and leaving her without adequate support.—The accused admitted the charge; but as his wife said she had had an interview with him, and he was willing to support her, the Bench granted her request to allow the case to be withdrawn. Southland Times: 25 Apr 1888: KENNINGTON. At the meeting of householders, twelve candidates were proposed for the committee, all of those the following were elected : — Messrs J H Dawson (chairman); E Coupland; B Edwards; H J Guildford; J Crombie; A W Mason and J Sutherland. Southland Times: 24 Mar 1888: Southland Education Board; A special meeting of the Board. Southland Times: 25 Apr 1889; KENNINGTON: At the meeting of householders Mr J. H. Dawson, the chairman of the retiring committee, reported that the incoming committee would have a balance in hand with which to commence the year. Nine householders were elected: — Messrs G. T. Dawson, B. Edwards, J. H. Dawson, R. Craig, R. Coupland, H. J. Guildford, and J. Crombie. Southland Times: 22 Dec 1890; The privileges in connection with the Southland Racing Club's meeting on Boxing Day were sold on Saturday by Messrs Wilson, Tame and Co. The publicans|can's booth was purchased for £30 10s, the luncheon and temperance booth for £4 by Mr D. McFarlane, the race cards for £7 5s by Mr J. Medley, and the horse paddock for £1 by Mr G. Hacker. For the gates £22 was offered - they were passed in, but afterwards sold privately for £25 to Mr H Guildford. 1891 Three small boys pleaded guilty to a charge of throwing alones at Brunswick, to the damage of the dwelling of H. J. Guilford Sergt. Macdonell said the youngsters had acted really straight forwardly, having admitted their misconduct when charged, which was not usually the case. The father of two of the boys and the brother of the third were present, and promised to look after them better in future, whereupon his Worship cautioned and discharged them. Southland Times: 21 Dec 1891: Race Privileges: The privileges in connection with the Southland Racing Club's meeting at Myrosa Bush on Boxing Day submitted to competition by the United Farmers' Agency Company on Saturday, realised the following prices :— Publican's booth, F. Hewitt, £16 10s ; refreshment booth, D. McFarlane, £2; gates, H. J. Guildford, £ 22 10s ; cards, J. Aldred, £7 10s; horse paddock, E. Fisher. £10 10. At Otautau on Wednesday, William Affleck, secretary of the Otautau Racing Club, was charged 'that on the 26th December 1st on the Otautau racecourse he unlawfully did cause to be exhibited certain writing that a certain place there situate was opened, kept and used for the purpose of making bets and wagers on a certain event and contingency and relative to a certain horserace." Detective Herbert prosecuted and stated that the racing club had placed a blackboard on which were the names of the horses competing in the different events. Tickets were sold at 5s each and on the issue of each ticket a stroke was placed opposite the name of the horse backed. The maximum amount received in no instance exceeded £5, which was divided proportionately amongst those who backed the winning horse, The deductions by way of perceniages were made. On the outside of the building was exhibited a card on which was written "£5 sweeps of 5s each. No deductions; bring the correct change." Although the club derived no benefit they were practically running a totalisator pure and simple. Mr Russell admitted the facts as stated, but contended that it was a sweepstake legalised by section 7 of the Gaming and Lotteries Act Amendment Act, 1885, and that no offence was committed. What had been done was done purely in the interests of the public and with a view of preventing spielers and others assembling and carrying on illegal gaming on the course. The club could not obtain permission to run a totalisator and were of opinion that what was being conducted was a sweepstake and that they were acting legally. They had no intention whatever of committing a breach of the law. The question simply was, was the method adopted for the disposal of the money received what was commonly known as a sweepstake. The Magistrate said he was perfectly satisfied the club had no intention of breaking the law. He had no doubt it was not a sweepstake within the meaning of the Act. A card had been exhibited with the express intention of attracting notice and a breach of the law had taken place. It was not a case in which a penalty should be inflicted and he would enter up a conviction with costs 9s. Two other informations against Messrs Affleck and Guildford in connection with the same matter were withdrawn by the police. Otago Witness; 8 July 1897, SOUTHLAND LAND BOARD: H. J. Guilford applied for 100 acres of temporary bush reserve in block V, Aparima Hundred — Refused.